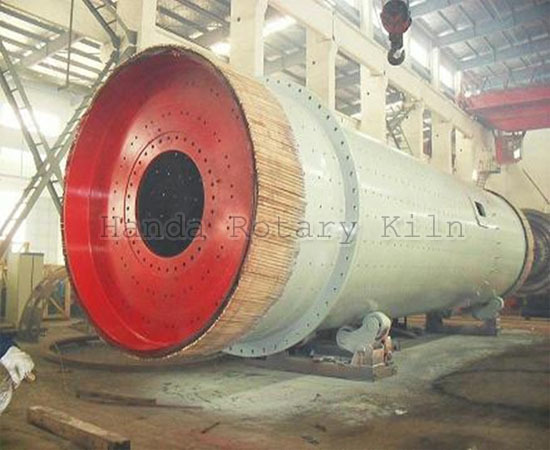 WS high yield cement ball mill is one of patented products produced by our company. The structure in the mill adopts two screening procedures: the first procedure refers that the 1st and 2nd chambers, whose separating storehouse board has grate hole design, use the obstructing equipment with vertical screening; the second procedure refers that the 2nd and 3rd chambers adopt the powered arc screening plant. The separating storehouse board between the 2nd and 3rd chambers designs grate hole, the sieve plate designs arc structure with constraint power screening, and the center wind hole designs grate plate. Because the separating storehouse board between 1st and 2nd chambers contains rough screening and fine screening, with the enlargement of ball diameter in 1st chamber, this structure can improve the crushing efficiency of coarse materials in 1st chamber, speed up the matter flow rate and reduce reactive loss produced by fine powder layer, greatly promoting the efficiency of crushing in 1st chamber. With the decrease of materials particle size in 2nd chamber, the average ball diameter in 2nd chamber reduces and the steel ball quantity increases by several times, greatly enhancing the grinding efficiency of fine powder materials. In order to reduce the material particle size in 3rd chamber, the grate hole width of sieve plate must be reduced. Avoiding to affecting the feeding ability, our cement ball mill adopts arc screen structure with great feeding capacity and small particle size of material, improving the grinding efficiency in 3rd chamber. Meanwhile, promoting the grate plate and using small grate seam and wide distribution, due to each separating board is grate plate, the uniformity of venting area is improved and the current difference of materials in the mill is decreased. The reduction of excessive grinding and good control to fineness can increase the output of mills immensely.